Savosolar organizes its administration in accordance with the Finnish Limited Liability Companies Act. According to the Act, the administration is divided between the General Meeting of shareholders, the Board of Directors and the President and CEO. Shareholders exercise their rights primarily in the General Meeting of shareholders that is usually convened by the company’s Board of Directors. A General Meeting of shareholders must also be convened if requested in writing by the company’s auditor or a group of shareholders whose total number of shares constitutes at least one-tenth of the number of shares issued by the company that are not in the company’s possession. The company does not follow the recommendations of the Corporate Governance Code for Finnish listed companies because the company does not deem it expedient in view of the company’s size and its scope of business. Savosolar’s shareholders resolve upon the remuneration and benefits for the Board members at the general meeting in accordance with the Finnish Companies Act. For the financial year 2015 a total of EUR 8.5 thousand (2014: EUR 2.4 thousand) was paid to the members of the Board of Directors as remuneration for attending meetings. The company’s annual general meeting held on 19 April 2016 decided that the members of the Board of Directors will be paid the following fees for the term of office: EUR 21,600 to the chairman of the Board and EUR 10,800 to all other Board members. Approximately 40% of the fees paid to the Board of Directors are paid on the basis of the Board’s share issue authorisation by giving the Board members new shares in the company. Approximately 60% of the fees will be paid in cash. Board members may not give away shares received as remuneration before their term of office on the Board has ended. In addition, Board members are compensated for reasonable travel and accommodation expenses related to Board meetings. Travel and accommodation expenses are nevertheless not compensated for with regard to Board members who live in the Helsinki area, when the meetings are held in the greater Helsinki area. No service agreements or pension arrangements have been entered into between the company and the members of the Board of Directors. In 2016, EUR 127 thousand including fringe benefits was paid to Managing Director Jari Varjotie and EUR 505 thousand to the other members of the management. Under his service contract Managing Director Jari Varjotie is not entitled to any voluntarily pension schemes paid by the company. In case the company terminates Varjotie’s service contract, the company shall pay to Varjotie normal monthly salary during the termination period of four months, and a severance payment corresponding to five months’ salary. The ordinary General Meeting of shareholders is the highest decision-making body of the company. The company’s Board of Directors convenes the General Meeting annually within six months of the end of the financial period. As stipulated in the Articles of Association, the ordinary General Meeting decides on the adoption of the financial statements, the use of profits shown on the balance sheet, the granting of release from liability to the members of the Board of Directors and the President and CEO, the number of members of the Board of Directors, as well as the remuneration of the members of the Board of Directors and the auditor/s. The General Meeting also elects the members of the Board and the auditor, and resolves any other matters included in the notice of the meeting. The tasks and responsibilities of the Board of Directors of Savosolar are determined by the Finnish Limited Liability Companies Act and other applicable legislation, according to which the administration of the company and the appropriate organization of its operation shall be arranged by the Board of Directors. The Board of Directors is also responsible for the appropriate organizing of the company’s accounting and of the control of its asset management. In addition, the Board of Directors’ task is to promote the good of the company and all its shareholders by planning the company’s business operations in a way that produces the best possible return on capital invested in the company in the long term. Chairman of the Board since May 2013. 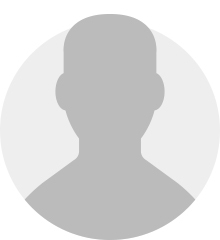 Feodor Aminoff has worked as CEO of Cleantech Invest Oyj in 2013-2014. Before this he has worked as the CEO of Please User Experience Design Oy during 2005–2009, in Sanitec Oy’s IDO-group management group with responsibility for development of information management and business processes during 2000–2009 and as project manager at KCI Konecranes Oyj during 1994–1999. 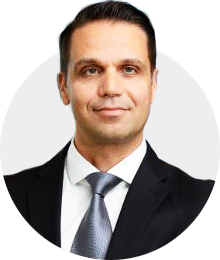 In addition, Feodor Aminoff has worked among other things as deputy member and member of the Board in Veho Group Oy since 1996 and as founding member on the Board of Finnish Business Angels Network (FIBAN) during 2010–2012. Member of the Board since August 2018. Eero Auranne has worked as the CEO of Empower Oyj during 2012-2017, as the President of Energy Division and member of the group’s management team in Swedish ÅF AB during 2006-2012 and as the CEO of Enprima Oy during 2003-2005. Previously Auranne has worked approximately 20 years for Fortum group and its predecessor Imatran Voima Oy in various positions. At the moment Auranne is also member of the Board of Directors in Dekati Oy. Mikael Lemström has made a long career in Fortum group in various positions, in addition to Finland also in Thailand and Poland. At the moment Lemström works as the Vice President, Heating and Cooling at Fortum’s City Solutions Division. 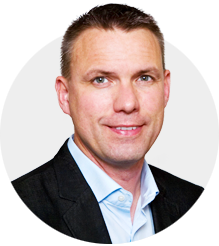 Ari Virtanen works at the moment as the CEO of Advion Group Oy and Solidior Oy. Virtanen has previously worked, inter alia, as temporary COO of Proxion Solutions Oy during 2017-2018, the CEO of Takoma Oyj during 2012-2014, the CEO of Högfors Oy during 2007-2009, the CEO and Chairman of the Board of Estonian AS Finmecin during 2004-2007, the sales manager of Kalmar Industries Oy Ab during 1999-2004 and in various positions in Tamrock group during 1986-1997. 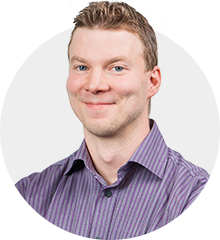 At the moment Virtanen is also a member of the Board of Directors in Kesla Oyj and Proxion Oy. Jari Varjotie is the Managing Director of Savosolar since 20 November 2010 and has over 30 years of experience as an industrialist. Before working at Savosolar, Jari Varjotie worked at Winwind Oy during 2007–2010, until the company was sold. During his time there he worked as the COO and the Managing Director for Europe. He also worked in various top management positions at Perlos Corporation during 2000–2007, lastly as the COO. During 1989–2000 Jari Varjotie worked at Valmet Corporation among others as Manufacturing Manager, Materials Manager, Factory Manager and Vice President. The task of the Managing Director is to manage and develop Savosolar's business operations in accordance with the Finnish Limited Liability Companies Act and the instructions and directives by the Board of Directors. The Managing Director may undertake measures that are unusual and wide-ranging with a view to the company's scope and nature of operations only by the authorization by the Board of Directors. The Managing Director is responsible for the compliance of the company's accounting with the law, and the reliable organization of its asset management. The Managing Director is also responsible for financial planning and controlling the implementation of significant operational decisions. The Managing Director prepares matters for the meetings of the Board of Directors and reports to the Board of Directors. Founder and long-term CTO of Savosolar, appointed as Director, Senior Advisor on August 2018. In this role he will have wide authority to advise and support different functions and operations of the company. Kaj Pischow has 35 years of experience in development of new technologies and is a coating technologies expert. Before founding Savosolar, Kaj Pischow was a major shareholder and technical director during 1998–2010 at Savcor Face Group Oy, Surfcoat Oy and Savcor Coatings Oy which all produced vacuum coatings for Nokia mobile phones. 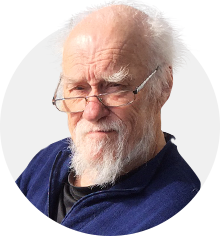 During 1971–1995 Kaj Pischow worked as a researcher at the State Research Center VTT, Riihimäen Lasi Oy, the Technical University of Helsinki and as a private entrepreneur. Among other things, he was the first one to bring research in nanotechnology to Finland. 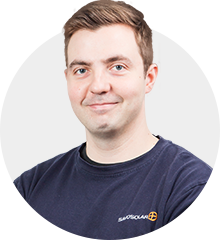 Pekka Karjalainen joined Savosolar in January 2016 as a quality engineer. Previously he worked as a designer at ABB Oy. 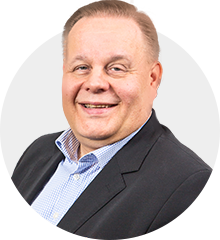 Pekka Karjalainen became a member of the Company's management group in December 2016 and has been working as Head of Quality since then. Raul Ikonen started as Savosolar’s CFO in November 2018. He is an experienced financial management professional, who has worked e.g. in KPMG and in several country units of UPM. He was 12 years at UPM (China) Ltd. in Shanghai, where his latest position was Vice President of Finance. Raul has wide experience in different finance management positions and tasks from operative reporting to strategic matters. 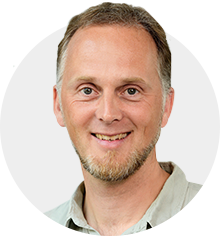 Morten Hofmeister has worked as Savosolar's Head of Projects and System Design since February 2017. Morton Hofmeister has extensive experience in the sales and heating projects. He has worked for DOG Energy A/S as Key Account Manager with responsibility over district heating clients during 2004-2010. During 2010-2014 he worked for the Danish District Heating Association. Since 2014, he has worked as a department and project manager at PlanEnergi, a well-known system design company in Denmark. His solid project expertise covers development of district heating and solar heating in both Eastern and Western Europe as well as Denmark specifically. Aku Järvisalo joined Savosolar in April 2010. He has held different positions in the company, first as brazing co-ordinator, then as project manager and Chief Engineer. He started as the Production Manager on 15th of April 2017. He is a member of the Management Team as from January 2016. Torben Frederiksen re-joined Savosolar in 2018 after being from autumn 2016 the CTO at Falck Schmidt Defence Systems A/S. Between 2014 and 2016 Torben was working for Savosolar developing the large area collector and managing our three first large solar thermal system delivery projects in Denmark as project manager. Before that he worked as Head of R&D at Sunmark A/S, an international Danish large scale solar thermal system supplier and before that several years for Danfoss A/S in various product development and leadership positions. Torben is located in Denmark. The most significant risks of Savosolar are the sufficiency of working capital and the ability to gain new projects and to increase the efficiency of operations, thereby turning the operations profitable. It cannot be guaranteed that the company will generate sufficient cash flow in order to finance the on-going operation. Further, it cannot be guaranteed that the company will receive additional financing at terms, which are beneficial for current shareholders and at all times. A failure in receiving additional financing at the right moment could result in that the company has to postpone, cut down or close down activities. The Board is constantly addressing the financing of the operations as a major part of the company’s growth strategy. Like most early stage technology companies, Savosolar has invested in development of its products, offering and production as well as expansion of its operations into new markets during the first operational years and has not yet reached sales volumes and margins that would cover the operational costs. Thus, the company has incurred significant operating losses since it was founded in 2010. These losses have resulted principally from costs incurred in research and development of products and production processes as well as from general and administrative costs associated with the company’s operations. The unprofitability of operations and challenges of supplementary financing led to the fact that the company has applied for restructuring proceedings in accordance with the Restructuring of Enterprises Act in 2013, and the restructuring program is planned to last until the end of 2018. Savosolar takes active measures to protect its intellectual property by obtaining patents and undertaking monitoring activities in its major markets. The company uses for this a well-known IPR service provider Berggren Oy. External auditing verifies that the financial statements give correct and sufficient information on the company’s financial performance and financial position during the financial period. The auditor submits an auditing report required by law to the company’s shareholders together with the company’s annual financial statements. Audits during the financial period are reported to the Board of Directors. The auditor and the Board of Directors meet at least once a year. The auditor is elected by the General Meeting of shareholders. The auditor’s term of office covers the financial period during which he or she is elected and ends at the closing of the next ordinary General Meeting of shareholders following his or her election. The ordinary General Meeting of shareholders held on 19 April 2016 re-elected the firm of Authorized Public Accountants PricewaterhouseCoopers Oy as the company auditor, with Petter Lindeman, Authorized Public Accountant, as the principal auditor. Savosolar complies with the Guidelines for Insiders by the Nasdaq Helsinki Ltd. at any given time in force. Savosolar Plc’s own Insider Instructions include a summary on company-specific principles as well as the Nasdaq instructions, and these documents shall be considered together as Savosolar Plc’s Insider Instructions. Savosolar maintains an insider register of persons subject to disclosure obligation (members of the Board of Directors and the Management Team) and of persons who regularly have access to inside information due to their positions or tasks as well as of other persons who work with the company on the basis of some other agreement and have regular access to the inside information. Furthermore, Savosolar maintains a register on project-specific insiders to whom the company discloses inside information based on a certain project. Because a public register of insiders and their holdings no longer is required, the information concerning holdings of shares is not updated regularly. The table on this page is showing the status as per August 2018. Today, the changes in holdings of insiders and their related parties will be disclosed in company announcements in line with the Market Abuse Regulation (MAR). Members of the Board of Directors and the Management team owned in August 2018 a total of 667,162 shares of the company and a total of 1,116,000 option rights entitling them to the subscription of shares. The table shows all shares and other related derivative instruments that the persons in question or their immediate family members own directly or indirectly through entities under their control or under the control of their immediate family members. The registered name of the company is Savosolar Oyj, in Swedish Savosolar Abp and in English Savosolar Plc. The domicile of the company is Mikkeli. The line of business of the company is design, manufacturing and sale of energy systems that exploit solar energy as well as research, development and consultation relating to its line of business. In addition, the company may own real estates, shares in housing companies, investment shares as well as other securities, make share investments in companies and lease the real estates and apartments that it owns. Company’s shares belong to the book-entry securities system. The company shall have the Board of Directors, which comprises no fewer than three (3) and no more than seven (7) members. The term of office of each member of the Board of Directors ends at the adjournment of the first annual general meeting of shareholders following the election. The company shall have a Managing Director. The Managing Director is nominated by the Board of Directors. The company shall be represented by the Board of Directors but also the chairman of the Board of Directors and the Managing Director alone and two members of the Board of Directors acting jointly. The Board of Directors may grant procuration or representation right to a nominated person. The company shall have one ordinary auditor and one deputy auditor. In case an auditing firm certified by the Finland Chamber of Commerce or chamber of commerce is elected as auditor, deputy auditor does not need to be elected. The term of office of the auditors ends at the adjournment of the annual general meeting of shareholders first following the election. The notice to convene a general meeting of shareholders must be delivered to the shareholders by publishing the notice on the website of the company or otherwise in a verifiable manner no earlier than three (3) months and no later than three (3) weeks prior to the general meeting of shareholders, however, in any case, at least nine (9) days prior to the record date of the general meeting of shareholders pursuant to the Finnish Companies Act. Besides the company’s domicile, general meetings may held in the City of Helsinki, Finland or the City of Stockholm, Sweden. The annual general meeting of shareholders shall be held each year within six (6) months from the end of the financial period of the company on a date resolved by the Board of Directors. • the ordinary auditor and deputy auditor. Savosolar is committed to communicating actively and transparently with all stakeholders. The company strives to give a truthful picture of the company’s operation, operating environment, strategy, goals and financial performance. The website www.savosolar.com and company releases published through Nasdaq are the most important sources for information on the operations and financials. All stakeholders of the company have an equal access to information on the website.